I suppose that many will remember when last September sharply criticized many of the specialized world of fashion the Saint Laurent collection for next autumn-winter. A collection with a touch of “punk” too different to super stylish garments to which we were accustomed. It seemed that Saint Laurent was wrong with this substantial change. When everything seemed that designers of Saint Laurent had mistaken in the choice of the style of the new collection, he only had to wait a few months to realize that absolutely all brands of “low-cost” firms had imitated some of the garments and even entirely the same style. It was perhaps becoming a resounding success. It seems that what experts in fashion journalists had not convinced them, members of the companies of leading brands “low-cost” dedicated to travel to watch the parades of the major brands had fallen in love with them. Now with the arrival of August and the emergence of new campaigns and catalogues we discover that Saint Laurent has created trend. Mango does not rule out the leather skirt of black with multiple buckles in the front, similar to Zara She loves the garments with patterned tartan in different colored fabrics. Up to “cheaper” firms fully cloned Scottish print gowns that paraded last February in Paris. 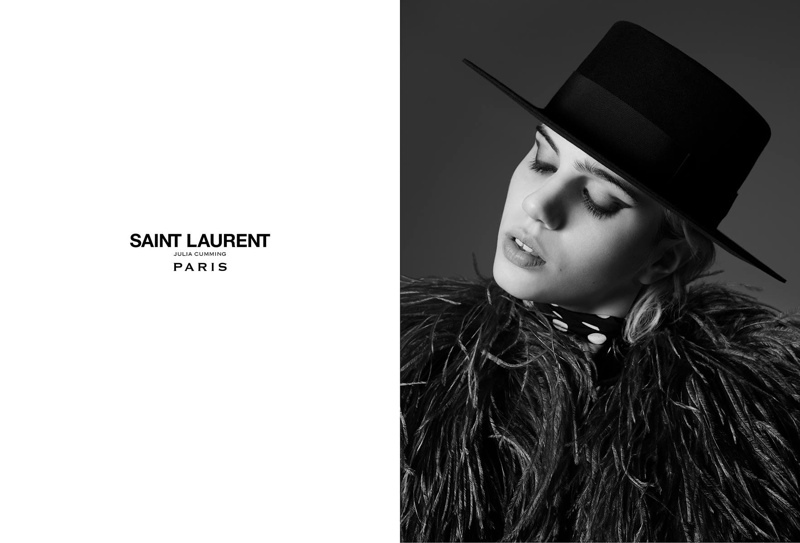 It is clear that they have created a boom, I don’t know if all clients the life of Saint Laurent love them This collection but I have clear is that style and the trend of it won’t stop to see him through the streets this fall.